Buy leather hats, leather caps, leather cowboy hats, leather baseball caps, leather snapback, cowboy hats, cowgirl hats, western hats, handmade hats online. We are a leather hat expert, and only offer high-quality and high-end handmade leather hats, leather caps to our consumers. Today, wearing a leather hat is often regarded as a status symbol. It is sometimes a very costly material and not just for those watching their pennies. Leather hats and leather caps will top off the most fashionable of outfits or be worn in every day situations. The cowboy hat is a high-crowned, wide-brimmed hat best known as the defining piece of attire for the North American cowboy. Influenced by 19th-century Mexican culture, today it is worn by many people and is particularly associated with ranch workers in the western and southern United States, western Canada and northern Mexico, with country-western singers and ranchero singers in Mexico, and for participants in the North American rodeo circuit. It is recognized around the world as part of Old West lore. The shape of a cowboy hat’s crown and brim are often modified by the wearer for fashion and to protect against weather. Cowboy hats come in an array of materials, colors, and styles. Here are a few popular and common styles that have withstood the test of time. 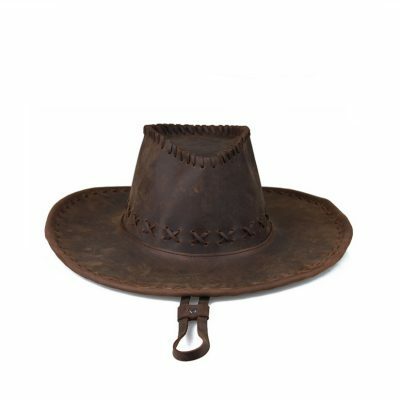 Cattleman Hat: When most people envision a cowboy hat, they envision this quintessential traditional cowboy hat. The top of its low crown has three indentations, and the hat’s brim curves slightly. Gus Hat: This features a high crown that slopes forward and is embellished by three prominent indentations. Pinchfront Hat: Favored by female wearers, this slimming, face-flattering style is recognizable by distinct indentations on each side of the crown front. Over the past thirty years, the baseball cap has emerged as a powerhouse amongst hats, evolving from a sports accessory to a universally accepted part of our casual wardrobe. It has been adopted by virtually every social stratum in the country, from disaffected teens to celebrities to software moguls to middle-aged, middle-class moms and dads to retirees. We wear ball caps to make a statement; to show an allegiance; to shade our eyes from the sun; to look and feel sporty or hip; to be part of something larger than ourselves. Humans have covered their heads since time immemorial. Initially headwear offered protection from the elements and from injury from falling rocks, weapons or masonry. Later head coverings became symbols of status of authority. Soon after hats progressed to become not only a uniform, but also an art form. In fashion terms, hats are a very noticeable accessory because the onlooker’s attention is first drawn to the face. A hat is the most noticeable fashion item anyone can wear. The old saying goes ‘if you want to get ahead and get noticed, then get a hat’. Indeed the word ‘ahead’ means just that one head further forward. Warm Tip: If you are looking for a special hat for an upcoming event, a gift for someone special or just something to keep you warm, there are some things you should keep in mind. There are different types of hats for every situation. Whether it is a baseball cap, cowboy hat, western hats, dress hat, fur hat, straw hat, felt hat or any other type of material, you should make sure that the hat fits the occasion, fits your budget and fits your appearance. 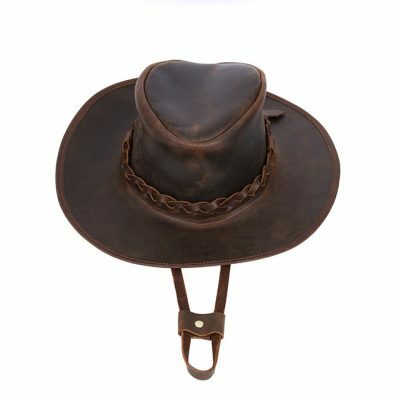 Related search: leather hats, leather caps, cowboy hats, leather baseball caps, leather cowboy hats, leather snapback, handmade hats, western hats, cowgirl hats, leather hats for sale, cowboy hats online, cowboy hats for sale, snapback online, handmade leather hats.